Choose your Boutique Hotel from the Costa del Sol along its stretch of coast from the provinces of Granada to Cadiz as well as inland with a great variety of towns, villages and natural protected areas of stunning beauty. 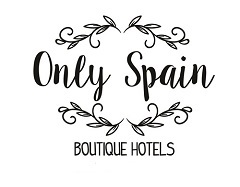 Here is our growing list of Only Spain Boutique Hotels in Malaga province. Do you want some help planning your trip to Spain? We offer a trip planning, hotel booking service, as much or little help as you want. Visit our Trip Planning page.